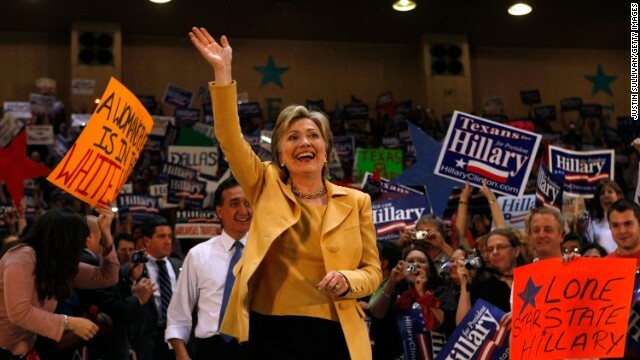 “Clinton’s Last Stand” — Does Hillary Have the Right Stuff to Triumph in Texas? Tonight’s MSNBC debate in Cleveland offers Hillary Clinton her last best chance to show voters she has the right stuff to stop the advance of front-runner Barack Obama in next Tuesday’s make-or-break, rich-in-delegates primary contests in Texas and Ohio. Despite a staff of 700, and $100 million in campaign expenditure, Clinton evidently has not invested in the counsel of a political psychology consultant. If she had, her advice likely would have been that the way to victory is authenticity, best achieved by cultivating a public persona consonant with her actual character. For insight into Clinton’s character — deeply ingrained personality traits and attributes that are not easily altered and that remain relatively consistent over time — we consulted three personality profiles independently constructed by different researchers in the past decade at the Unit for the Study of Personality in Politics at the College of St. Benedict and St. John’s University. Finally, in 2004, Elizabeth Malaktaris found Clinton’s personality pattern to be highly ambitious (self-serving), dominant (controlling), and conscientious (dutiful). Framing an authentic image for Clinton that is consistent with her true character can best be achieved by showcasing her strength and experience, which is built on the foundation of her inherent dominance and conscientiousness. High dominance makes Clinton a natural for rising to leadership challenges, rarely backing away from a fight. Her conscientiousness makes her the quintessential policy wonk, a competent manager with an eagle eye for the tiniest detail. The irony is that the strength-and-experience message, which carried Clinton through 2007 when her nomination seemed all but inevitable, began to unravel when the campaign entered its up-close-and-personal phase with the start of the primary season. It began to founder when challenged by the force of personality of an unlikely opponent that on paper offered little match for Clinton’s dominance, experience, and policy acumen. Clinton’s dilemma is that even though she surpasses Obama on ambition-driven confidence — the key ingredient of political charisma — she lacks the catalyst that creates the chemistry necessary to connect with people: an outgoing tendency that conveys personal warmth and likability. Barack Obama has it, Hillary Clinton doesn’t; Bill Clinton has it, Bob Dole doesn’t; George W. Bush has it, Al Gore doesn’t — and neither does John Kerry. John McCain has it, and so does Mike Huckabee; Mitt Romney doesn’t have it either, and neither does Fred Thompson. You can’t fake sincerity, at least not for long. For Clinton, the naked truth is that Plan B, to showcase her supposed warmth and empathy as some of her strategists would have her do, is simply a nonstarter — or at best a hard sell, because it’s entirely at variance with the core components of her personality. While some observers may have perceived Clinton’s famous show of emotion the day before last month’s New Hampshire primary as a glimpse of “the real Hillary,” of genuine warmth and empathy buried deep beneath her tough exterior, realistically what we saw was more likely a momentary peek behind the veil of her persona, briefly laying bare the wounded ego of shaken confidence as she saw her personal dreams of glory slipping away in the snow of New Hampshire. So, short of flaunting her toughness and going on the offensive, what remains for Clinton is to continue highlighting the historic significance of electing the first woman president of the United States. But that’s hardly a good hand if it’s the only card Hillary has left to play. Note. A slightly edited version of this article was published as the “Your Turn” column “Does Clinton have only 1 card to play” in the St. Cloud Times (pp. 7B), Feb. 26, 2008.